There are sooooooooo many yoga poses and disciplines, that it can be bewildering to even get started. For instance, I know I would hate “hot yoga” which is currently very popular. I don’t like heat, especially moist heat, I despise saunas and avoid climates that are even semi-tropical as best I can. Doing yoga in a room heated to 100+ degrees? I don’t think so. So here are some general guidelines to get you started in the appropriate yoga poses for your body and situation. If you are a complete yoga beginner, you should try any style you find attractive, bearing in mind your predominant dosha. Iyengar yoga offers an excellent introduction to correct alignment of the body while, on the other hand, Sivananda yoga is a gentle introduction and sets out a clearly defined yoga lifestyle while not emphasizing alignment at all. Astanga yoga is very physical while Viniyoga takes a personal approach and is profoundly nurturing. Each of these styles will be taught in different ways by different teachers. As you can see, you therefore need to explore to find a style that is right for you. Yoga is a superb choice for children as the earlier you start to practice in life, the better. Yoga keeps our spines free and our bodies flexible so is an excellent habit to instil in kids although it is important that it is taught in a fun and creative way. imagination. Yoga is also an excellent way to help children relax and is therefore particularly suitable for poor sleepers. The more advanced poses, such as headstands, should not be taught until a child has reached the age of 14 as otherwise they can interfere with bone formation and hormonal changes. Yoga is excellent for teenagers as it helps to calm and to instil self-confidence. Astanga Vinyasa yoga is particularly recommended after puberty as its dynamic, constant, flowing sequence provides a great exercise routine for a growing body. Children have the advantage over adults in that they are less self-conscious and more open to learning. They have less fear about trying new things and yoga helps them to harness their energy. They are best off learning yoga on a physical level at first, progressing to the more mental and spiritual aspects in their late teens. Sivananda yoga is very gentle and therefore ideal for seniors while Iyengar and Astanga yoga help to stimulate both body and mind and prevent the faculties from slowing. An alert mind helps to keep the body young and people of all ages need stimulation. Yoga is an excellent practice for seniors with particular needs and disabilities because it is endlessly adaptable. Depression has been defined as ‘the separation from self’ which leads to the alienation and isolation so commonly experienced by sufferers. Yoga helps us to harmonize and integrate with ourselves, bringing us back to who we truly are and is therefore extremely helpful in cases of depression. The breathing practices employed in yoga also work subtly to clear negativity and to bring about acceptance by helping a depressed person breathe through the mental pain. 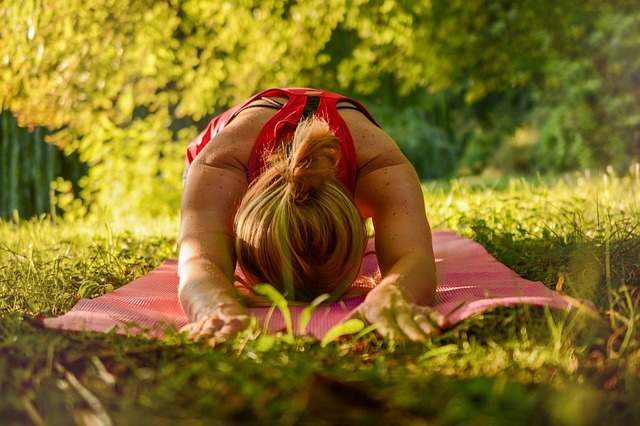 More vigorous forms of yoga, such as Astanga, stimulate the endorphin release associated with cardiovascular exercise which also helps to cut through depression. Astanga yoga has been found to be particularly helpful for people coming off antidepressants as it is both healing and empowering, getting rid of negative ways of thinking. Very gentle yoga is advised in cases of injury and, at all times, should be appropriate to the needs of the injured person. Even if an injury calls for complete bed rest, you can lie in a way that ensures that your blood is well oxygenated which means a healthier heart and organs. Practicing yoga breathing will help to achieve this as will lying in Savasana, otherwise known as the corpse posture. In cases of muscular injury, you can try to work through it physically provided you know how to distinguish between a healthy level of discomfort and the sort of pain that signals you should stop. Iyengar yoga is often used in remedial classes but is not advised if you are suffering from a fever, when you should rest. It is important to decide what is appropriate according to the particular injury and, in most forms of yoga, an individual program will be prescribed. If you are in any doubt, you should seek out a specialist remedial class. Yoga can be very helpful to people coming off drugs and alcohol and there are a number of detox programs that teach it. Yoga helps us to think clearly about ourselves and to remain centered and calm, all of which are highly beneficial when combating addiction. Meditation practice, in particular, can help address the neurosis that often lies at the heart of an addictive personality. Astanga yoga is excellent for losing weight and toning up if you are overweight but reasonably fit. If you are overweight and unfit, is a good idea begin with another style and work up to Astanga later to build up your fitness and stamina. Iyengar is another form that helps to shed weight thanks to its rigorous training but all yoga styles will help to gradually balance the body and therefore get rid of any excess fat. This works as much on a mental as on a physical level by allowing you to explore what motivates the urge to over eat. As all forms of yoga are restorative and balancing, it is an excellent choice if you are stressed. Several forms such as Astanga and Sivananda can be practised in a smooth, flowing style much like Tai Chi. Other, more demanding forms can help dissipate tension and wound up energy. Sivananda yoga can be highly beneficial to people who are in need of soothing and grounding as sessions start with a headstand and move through to standing asanas, thereby working from the head down.